In conventional modern usage of the terms, buccaneers are often equated with pirates, although by historical convention the terms are quite separate. 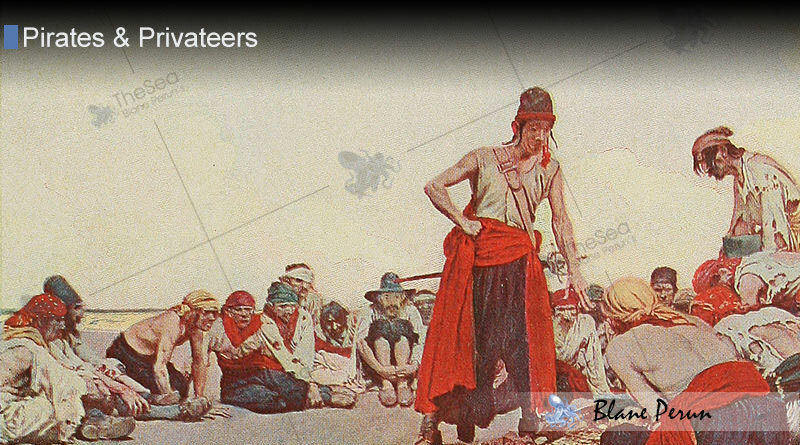 Buccaneers were pirates of a specific variety. Notably, they consisted of larger crews that were apt to attack small coastal towns in the Caribbean rather than intercontinental shipping. They also usually held some form of legitimacy from a participating government during the golden age of sail, making them technically privateers. In practice, however, they were highly opportunistic and would plunder nearly any target that they believed they could get away with. 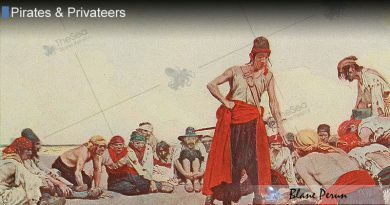 Buccaneers were known for harboring a democratic form of political self-organization. 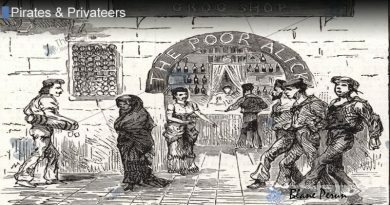 This was not the rule, of course, but it was an overwhelming trend amongst the buccaneer ships that populated the Caribbean between the 16th and 19th centuries. Captains were often elected by the crew, and could even be deposed by a mutinous crew without the threat of punishment or marooning. Many buccaneers considered themselves to be representatives of individual sovereign states that paid no heed to existing governments of the time, and many of the privateering contracts that they enjoyed reflected this estimation. Buccaneers rarely had access to the level of military might and weaponry necessary to bombard a coastal town in the way a developed navy might. The traditional strategy employed by many buccaneers was to beach their ships secretly in a secret area nearby the targeted town and then rush it quickly from the landward side that was often considerably less protected than the coastal side. They largely relied on the element of surprise, because many coastal island towns did not expect to be attacked by land and this allowed buccaneers to quickly depose the administration of the town and gain access to their riches, treasures and other goods. Unlike their pirate cousins, buccaneers did not last well into the modern era. By the onset of the 18th century, they were already a dying breed owing to the increased defensive measures practiced by coastal towns, heavy policing of coastal waters and increased naval presence by legitimate European powers in the Caribbean. The tendency of buccaneers to embroil these European powers in unwanted conflicts led to their systematic removal. 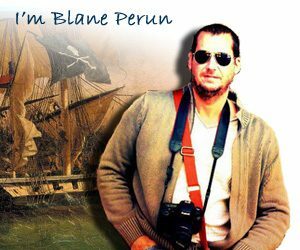 Many buccaneers went on to seek legitimate employment or moved into piracy of less patrolled waters such as the Indian Ocean.